Supplying the industry with a far-reaching portfolio, Harwin manufacture high reliability interconnects offering assured performance, with the award-winning Gecko connectors setting the bar in terms of both performance and dependability. Compact and lightweight, but still incredibly robust, Harwin’s Gecko 1.25mm pitch connectors are ideal for modern high-density electronic designs where there is very limited available space. 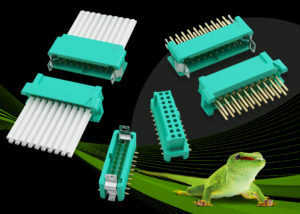 These multi-award winning components are up to 45% smaller and 75% lighter than standard Micro-D connector equivalents. Each of their Beryllium Copper plated contacts is capable of simultaneously delivering 2A of current (2.8A individually). The Gecko range provides cable-to-board, board-to-board and cable-to-cable connectivity options that exhibit industry-leading longevity. With support for an operational temperature range spanning from -65°C to +150°C, plus 1,000 mating cycle durability, they present an ultra-reliable solution that cannot be matched by the competition. Thanks to their robust mechanical construction, these components are able to withstand exposure to elevated levels of both shock (100g 6m/s on Z axis) and vibration (20g/2000Hz). These attributes make them highly suitable for implementation in even the most demanding of application environments – including avionics, motorsport and space exploration. Many of the world’s leading aircraft manufacturers, satellite companies and F1 teams rely on use of Harwin’s Gecko connectivity in the electronics systems. In applications where even greater resilience to vibrational forces needs to be mandated, the original latched versions are complemented by the Gecko-SL series. These connectors feature stainless steel screw-lok fixings – allowing them to be deployed in uncompromising mission critical systems, where failure is simply not permitted. Another key aspect of the Gecko product family is its unmatched outgassing properties – consequently these connectors perform far better in space applications than those from rival manufacturers. Further expanding the already extensive offering, Harwin has now announced brand new additions. In order to provide heightened design flexibility, while still maintaining maximum mating integrity, the Gecko-SL is now available in a reverse fix orientation – with the male connectors serving as the floating fixings and screwing into the female connectors (rather than vice-versa). 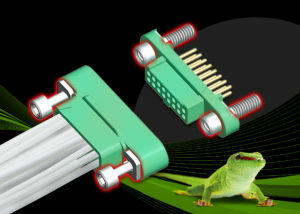 The Gecko-SL Reverse Fix comes in both male and female cable housings. For this version, the female connectors can be employed in a panel-mount arrangement, with a threaded stud positioned on the rear of the screw-lok. Accompanying slotted nuts and hexagonal nuts are supplied separately. Surface mount and through board PCB versions of both the male and female connectors are also available, with the threaded stud on the female connectors providing board mount strain relief. 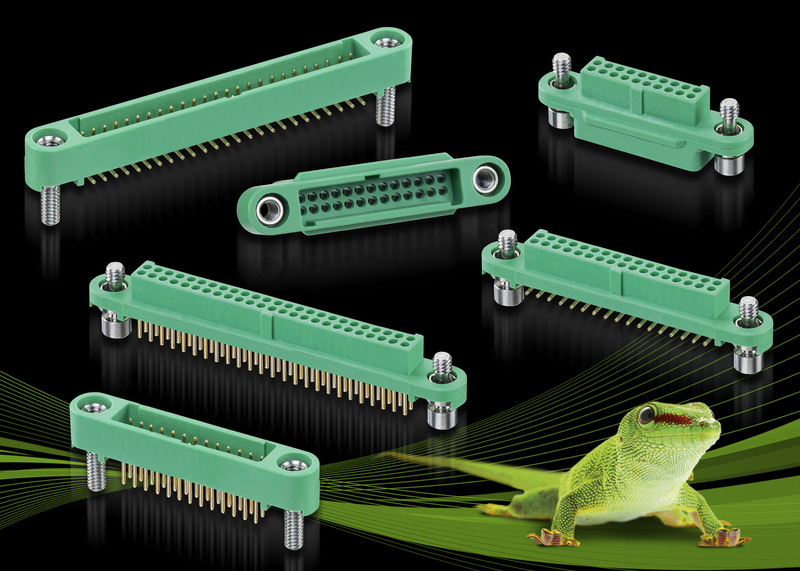 Gecko-SL connectors are now also supported by a range of ready-to-use cable assemblies too – these are capable of addressing a wide array of potential customer requirements. Both male and female single-ended versions are offered, along with double-ended male-to-male, male-to-female and female-to-female arrangements. There is scope for specifying a multitude of different pin counts and cable lengths.